Hey, remember Ice and Fire Con? We finally got a podcast out about it. 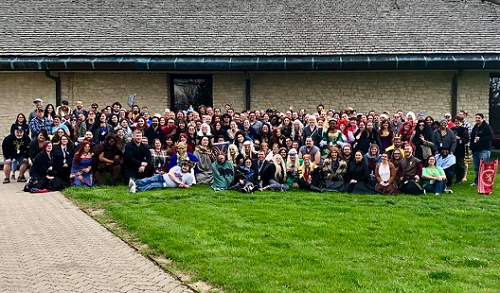 Get an inside look at what it’s like at this wonderful event as Vassals Casey (blue-eyed-queen), Matt (blu3arm0r), Greg (claudiusthefool), Zach (Alias), Dan (Witless Chum), Thomas (FTWard), and Jon (eigenvectorjon) recap and share their experiences of Ice and Fire Con 2018. This entry was posted in A Song of Ice and Fire, Board Games & Trivia, Fandom, Podcast and tagged Alias, Blu3arm0r, blue-eyed-queen, claudiusthefool, Eigenvectorjon, FTWard, witless chum. Bookmark the permalink.